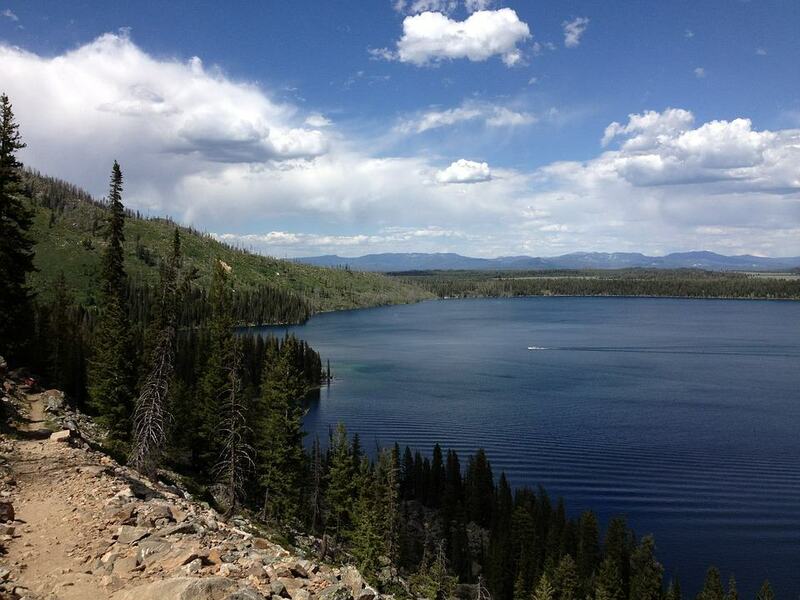 A short drive north of Jackson Hole, Wyoming is Jenny Lake. As early as the 1890’s, homesteaders began locating to this region. The deep-water lake, and pristine ecosystem made for excellent trapping opportunities. In 1906, the Forest Service took over the management of the ever increasing visitor services. 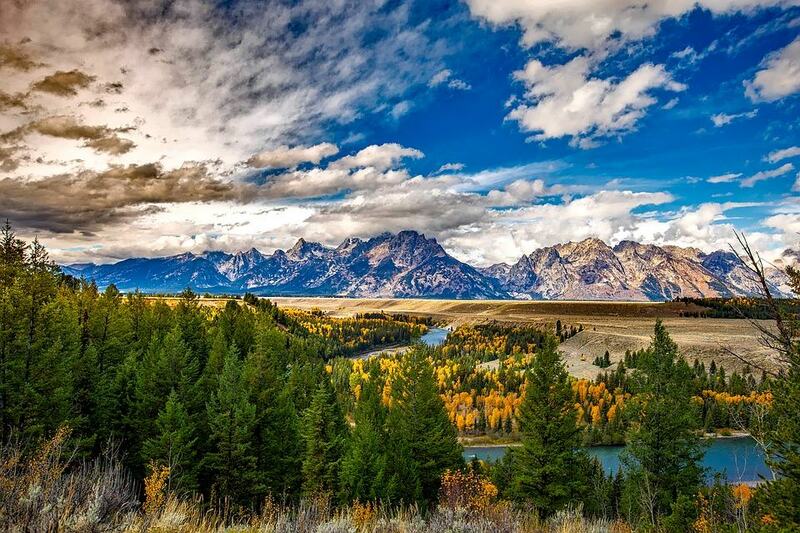 Soon a campground was constructed, and in 1929 the Grand Tetons National Park was established. 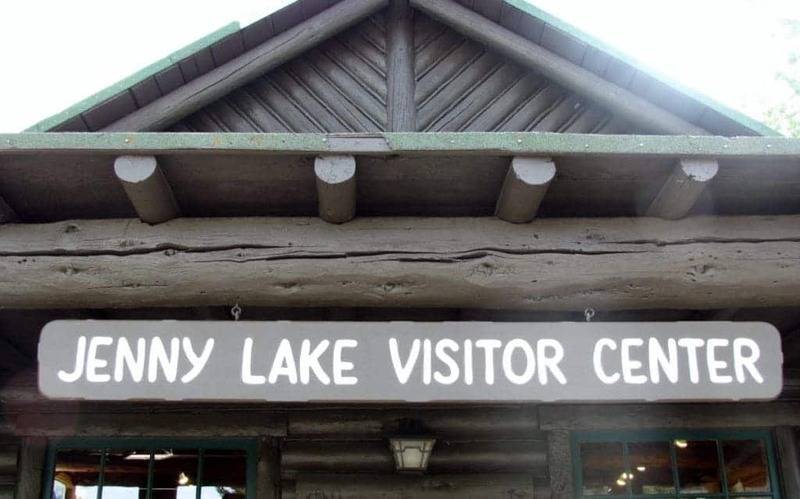 Today thousands of visitors come to Jenny Lake annually. The hiking trails are one of the main draws, and a wide variety are available for all skill levels. Since we are not above novice level, we were unsure if we would find one that fit our beginner status. 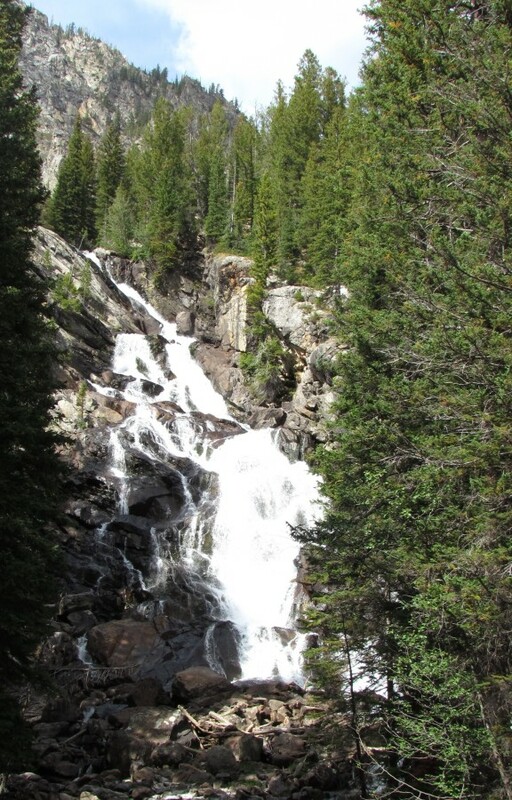 Fortunately, there is a challenging, yet attainable trail to Hidden Falls. We arrived at the visitor center around mid-day, and purchased our $15.00 per adult boat tickets. This is a round trip price with shuttles running every 15 minutes to the Cascade Canyon trail-head. We boarded our boat, and soon we were off on our trip across the lake. The ride was pleasant, as the waves were fairly minimal. The views along the way are inspiring, and we chatted with some guests who had been on this trail on a previous visit. They assured us that if they could complete it we should have no problems. This eased our nerves a little, and soon we arrived at the far side dock. The trail is well marked, and it would be difficult to get lost. It winds slowly up the side of the mountain, but the steps are manageable. There are so many sights to see along the way, that it seemed we were constantly stopping for a photo opportunity. This did help in keeping us from wearing out on a constant trek. The total elevation gain on this hike is 230 feet, so it is mostly a gradual incline. The rushing water from the falls cascades down the mountain base to the lake below. 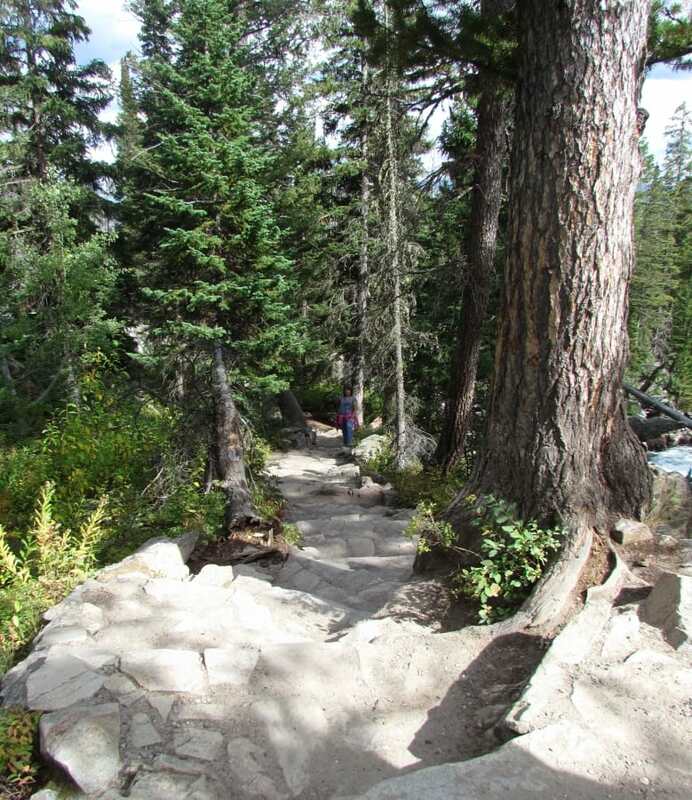 The trail takes advantage of this, and follows the path to the falls base. Along the way, hikers are treated to a variety of smaller falls and rapids. We forged ahead, and soon we could hear the increasing roar from our ultimate goal. As you come through a thicket of trees, you finally enter a clearing and find yourself facing your prize. The falls are a wonderful reason to stop for a bit, and just enjoy this wonder of nature. After the requisite amount of time, we began our downward trek. 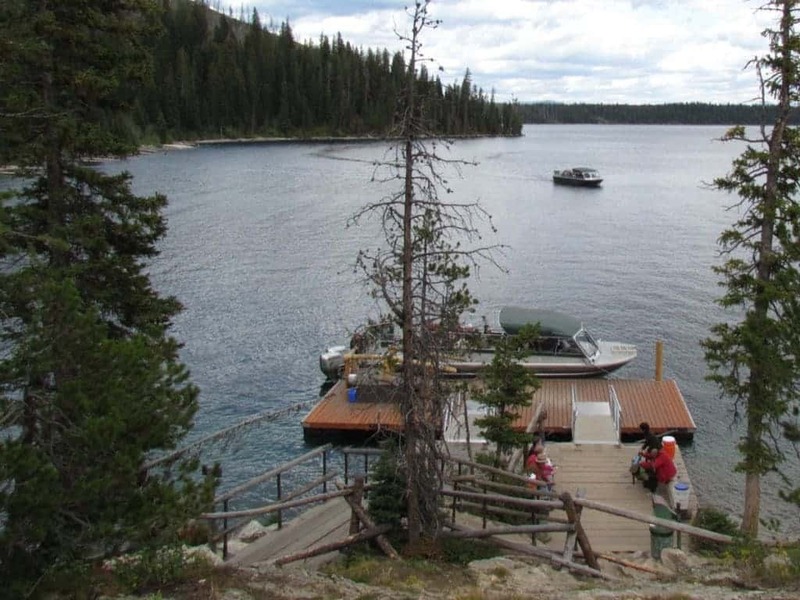 There is the option to take an alternate trail, which deposits you at the same boat dock at which you arrived. Both paths offer wonderful views, but we chose to see the second option, as well. During the climb up, you spend most of your time in the tree cover. This doesn’t allow you much of a perspective of the distance traveled upward. On the descent, when you come to a clearing the lake spreads out before you, and you can appreciate the beauty and wonder of this attraction. Soon we had completed this 1.3 mile round trip, and were comfortably back in the boat. Our ride back was filled with conversations about conquering what many would consider a molehill. For us it was a mountain that we had climbed. We returned to the Jenny Lake Visitor Center, where we visited their store to pick up a couple of mementos from our visit. Soon we were back in our car and heading down the highway. The memories of our short commune with nature was fresh in our minds, and in our discussions, as we headed for Jackson Hole. Very nicely done. I LIVE in Jackson Wy and haven’t been on that trail for a few years. Loved seeing the photos, thank you. You are welcome. We truly enjoyed our visit. 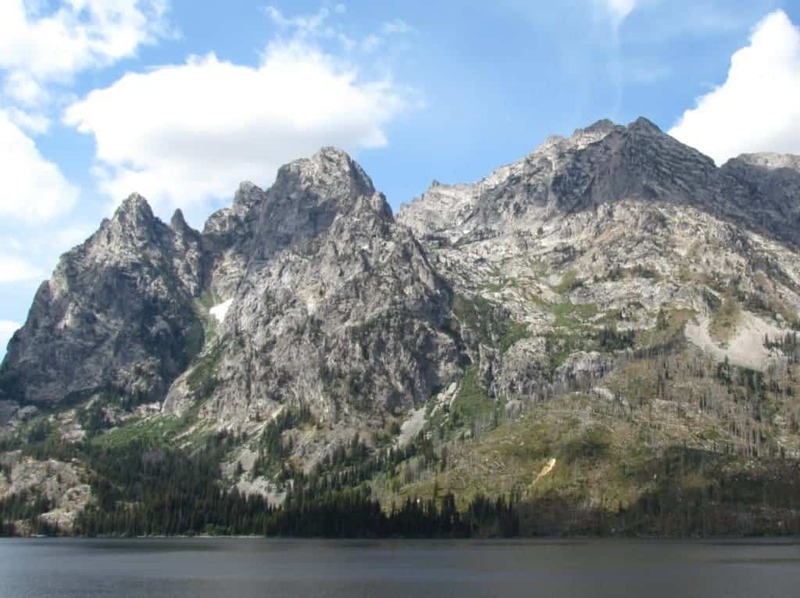 The trail around Jenny Lake is a great hike for those wanting a little adventure without being too strenuous. There are some areas that gain and lose some elevation, some areas that are slightly exposed, but overall this hike can easily be done in a morning or afternoon in tennis shoes. Wildlife will often be visible in the early morning or evening. If you make it halfway around the lake and decide the walk back is too much you can take a boat ferry back to South Jenny Lake Junction. Great advice. 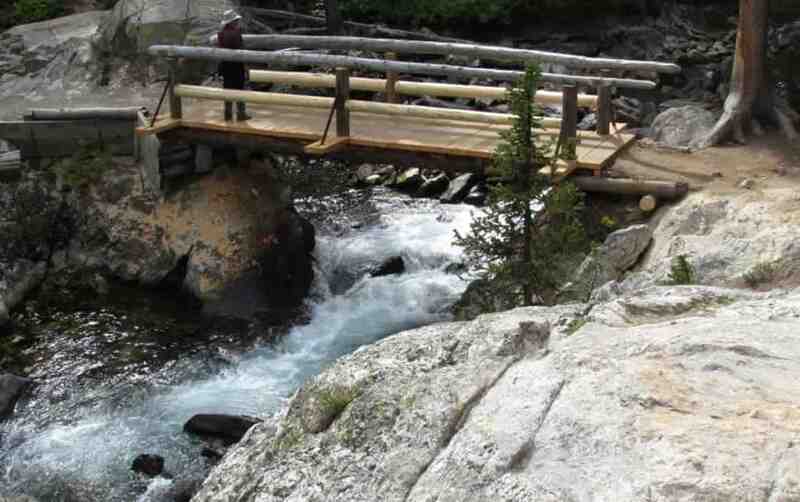 We loved that this hike is much more accessible for all ages.